Mike Greene - mgreene@shawmedia.com Class Treasurer Jacob Hart receives his diploma during commencement ceremonies for Marengo Community High School Saturday, May 26, 2012 in Marengo. 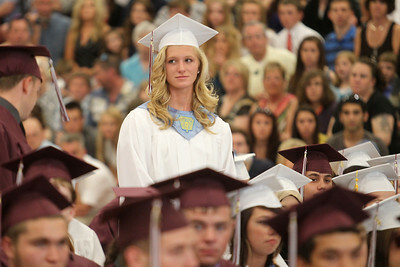 Mike Greene - mgreene@shawmedia.com Ashley Borhart stands to be recognized as one of the top ten students in the graduating class during commencement ceremonies for Marengo Community High School Saturday, May 26, 2012 in Marengo. Mike Greene - mgreene@shawmedia.com Allyson Munneke and Mitha Mulyowahyudi pose for a photo prior to the start of commencement ceremonies for Marengo Community High School Saturday, May 26, 2012 in Marengo. Mike Greene - mgreene@shawmedia.com Samantha Bronge speaks with Lucas Broling prior to the start of commencement ceremonies for Marengo Community High School Saturday, May 26, 2012 in Marengo. Mike Greene - mgreene@shawmedia.com Dona Lorenz fixes her tassle prior to the start of commencement ceremonies for Marengo Community High School Saturday, May 26, 2012 in Marengo. 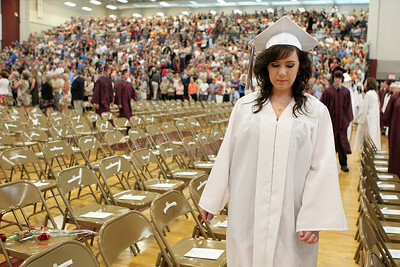 Mike Greene - mgreene@shawmedia.com Brittany Christensen finds her seat at the start of commencement ceremonies for Marengo Community High School Saturday, May 26, 2012 in Marengo. 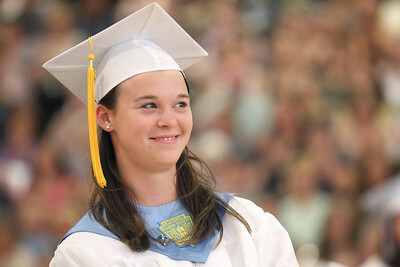 Mike Greene - mgreene@shawmedia.com Hannah Proctor looks into the stands at the beginning of commencement ceremonies for Marengo Community High School Saturday, May 26, 2012 in Marengo. 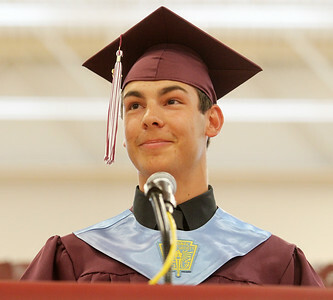 Mike Greene - mgreene@shawmedia.com Class President Ben Klick smiles while giving a welcome speech to classmates and guests during commencement ceremonies for Marengo Community High School Saturday, May 26, 2012 in Marengo. Mike Greene - mgreene@shawmedia.com Allison Rogutich stands to be recognized forachievements in athletics during commencement ceremonies for Marengo Community High School Saturday, May 26, 2012 in Marengo. 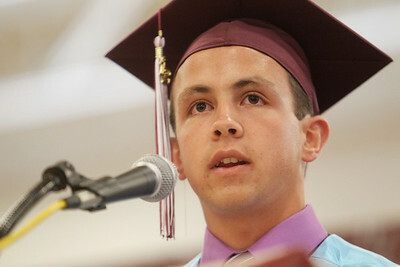 Mike Greene - mgreene@shawmedia.com Class Treasurer Jacob Hart provides opening comments during commencement ceremonies for Marengo Community High School Saturday, May 26, 2012 in Marengo. 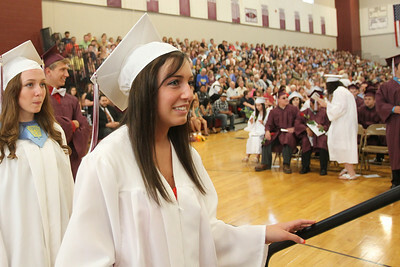 Mike Greene - mgreene@shawmedia.com Allyson Munneke smiles while being recognized as the recipient of the Marengo Education Association Scholarship during commencement ceremonies for Marengo Community High School Saturday, May 26, 2012 in Marengo. 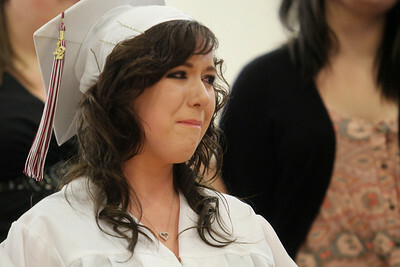 Mike Greene - mgreene@shawmedia.com Brittany Christensen gets emotional following her final choir performance at the school during commencement ceremonies for Marengo Community High School Saturday, May 26, 2012 in Marengo. 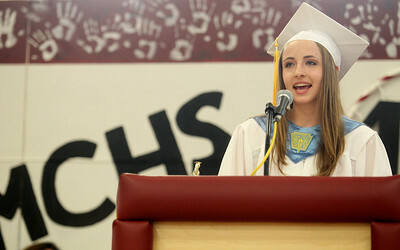 Mike Greene - mgreene@shawmedia.com Dakota Barton sings along with the choir's rendition of "Smile" by Uncle Kracker from his seat during commencement ceremonies for Marengo Community High School Saturday, May 26, 2012 in Marengo. 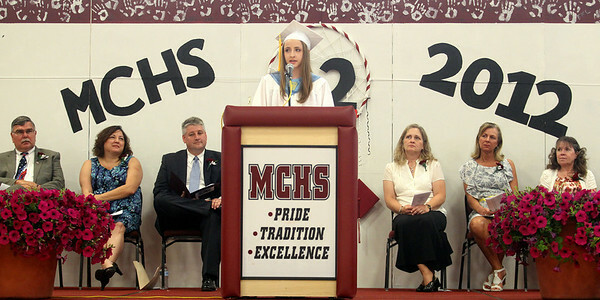 Mike Greene - mgreene@shawmedia.com Class Valedictorian Heather Gustat speaks during commencement ceremonies for Marengo Community High School Saturday, May 26, 2012 in Marengo. 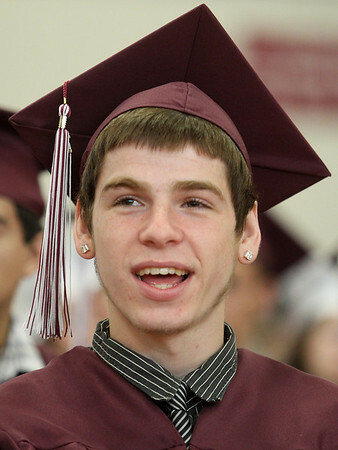 Mike Greene - mgreene@shawmedia.com Logan Garfield listens to the valedictorian's address during commencement ceremonies for Marengo Community High School Saturday, May 26, 2012 in Marengo. 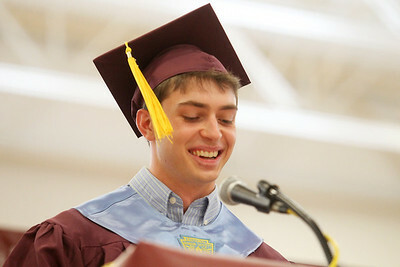 Mike Greene - mgreene@shawmedia.com Class Salutatorian Francis Kaul smiles while giving his address during commencement ceremonies for Marengo Community High School Saturday, May 26, 2012 in Marengo. 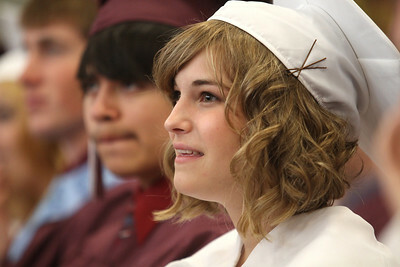 Mike Greene - mgreene@shawmedia.com Jessica White listens to the valedictorian's address during commencement ceremonies for Marengo Community High School Saturday, May 26, 2012 in Marengo. Mike Greene - mgreene@shawmedia.com Samantha Bronge nervously steps up to the stage before receiving her diploma during commencement ceremonies for Marengo Community High School Saturday, May 26, 2012 in Marengo. 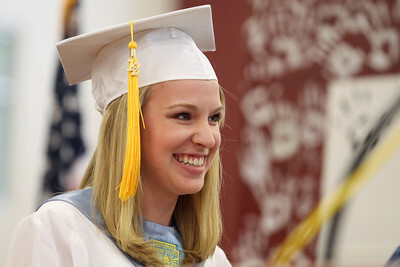 Mike Greene - mgreene@shawmedia.com Abigail Green smiles while receiving her diploma during commencement ceremonies for Marengo Community High School Saturday, May 26, 2012 in Marengo. 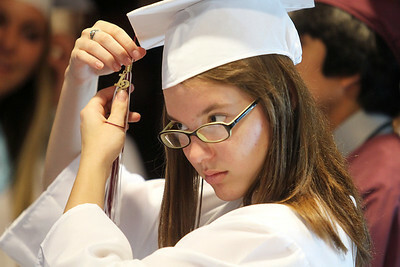 Dona Lorenz fixes her tassle prior to the start of commencement ceremonies for Marengo Community High School Saturday, May 26, 2012 in Marengo.